When The Scar Boys ended, the band has fallen apart. Harry and Johnny are barely speaking, and Cheyenne is feeling desperate about Johnny, who has retreated into silence. It's only through their music that the group is able to rebuild their relationships, and they slowly begin to reach musical success and fame. In Scar Girl, Cheyenne, Harry, and Richie tell their own stories as they discover the ups and downs of being rock musicians--including meltdowns on stage, too much drinking, keeping secrets that should be shared, and having fights that test the limits of their friendship. The band's reputation grows and grows, but will the kids themselves survive? 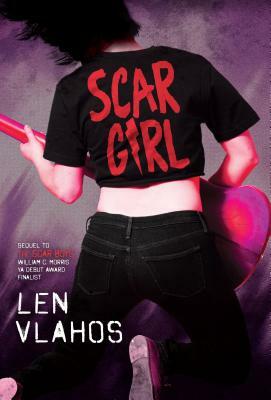 Len Vlahos dropped out of NYU film school at the age of 19 to go on the road with a touring punk/pop band called the Woofing Cookies, which eventually because the backdrop for "The Scar Boys." He now works in the book industry and lives with his wife and two children in Connecticut. You can visit him online at www.lenvlahos.com and follow him on Facebook and Twitter @LenVlahos. The author lives in Stamford, CT.